Dampiet Street, Bridgwater TA6 3LZ. 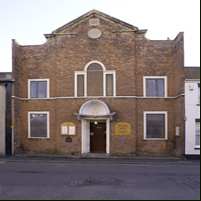 Welcome to the oldest non-conformist Chapel (founded 1662) in BRIDGWATER. It stands for free-thinking in religion.